Sheet music cover for 'Oh Mr. Porter' as sung by Marie Lloyd, written by Thomas Le Brunn and composed by George Le Brunn. 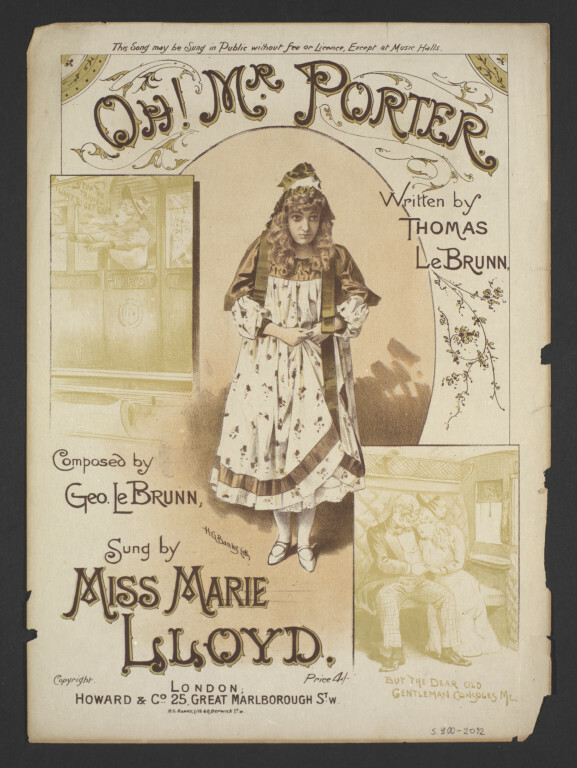 Published in London by Howard & Co., late 19th century. 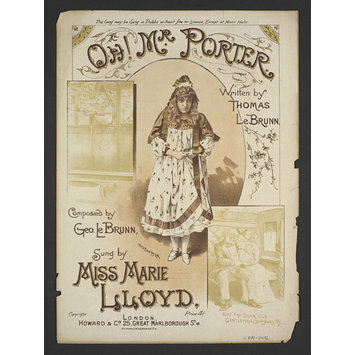 Music sheet cover for 'Oh Mr. Porter' illustrated with a full length portrait of Marie Lloyd and scenes from the song. Brittle edges.